Let’s face it – unless you eat out all the time, you spend a great deal of time in your kitchen. From the moment that you stumble in there in the morning to make that first cup of coffee to that last evening snack, your kitchen is the center of life in your home. A remodeled kitchen - especially one which boasts Energy Star appliances - will greatly increase the value of your home and save you money in operating costs at the same time. ​Most homeowners will be happily amazed by the multitude of innovations in the area of kitchen design these days. ​Wherever possible, the addition of a ventilation skylight greatly enhances the kitchen work area with daylight from above and the elimination of bad odors through the skylight vent opening. The new design in refrigerators makes them flush with your counters instead of sticking way out into your work area and traffic path but with just as much room inside as a conventional kitchen fridge. 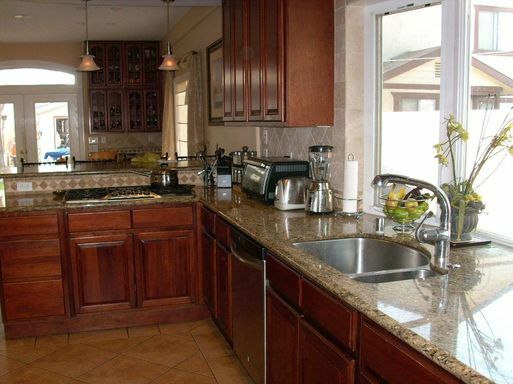 Kitchen cook tops that consist of one single sheet of material make cleanup as easy as a few swipes with a damp cloth. ​Let one of our designers take you by the hand and lead you through the delights awaiting you in the many local showrooms displaying kitchen appliances, fixtures and lighting options. 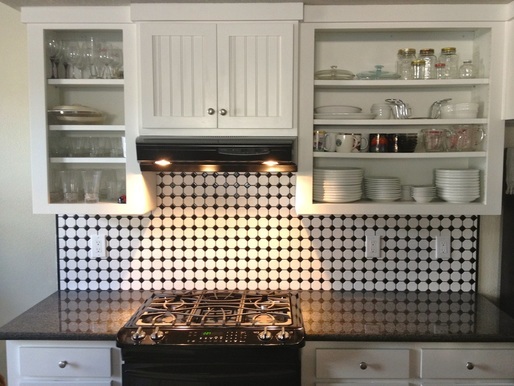 You will be dazzled by the selection of materials for kitchen countertops, backsplashes, walls and floors. We can advise you on which will be best suited to your specific tastes and needs. To receive a free, no obligation consultation and estimate, just click below.